The Large Atrium Drip Easy Drainage System includes a drainage tray and a screen insert to optionally replace the standard white PVC floor dimensions. 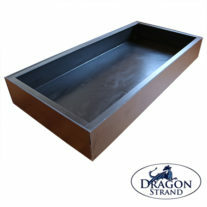 The drainage tray measures are 46″ Wide x 24″ Deep x 1.75″ High. Drip Easy Screen Floor Drainage System: Original developed and brought to market by Ed Kammer through Kammerflage Kreations as the Drip-Easy system, this package contains the Drainage Tray as well as an insert to replace the standard PVC floor with a screen panel. 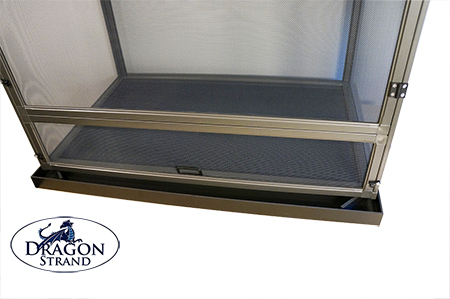 Excess water flows directly into the drain tray avoiding any pooling on the floor. 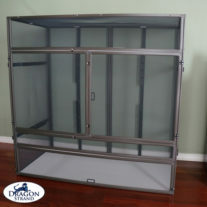 We are very happy to have been able to work with the Kammers to bring back the Drip-Easy functionality to this special cage system. Please Reference this article on basic drainage principles. 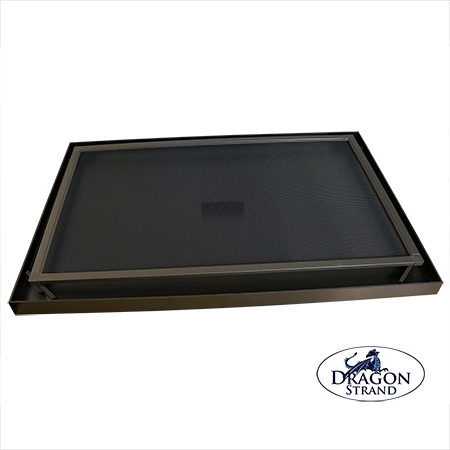 This drainage system is compatible with the Large Atrium Enclosure, both screen and Clearside versions.